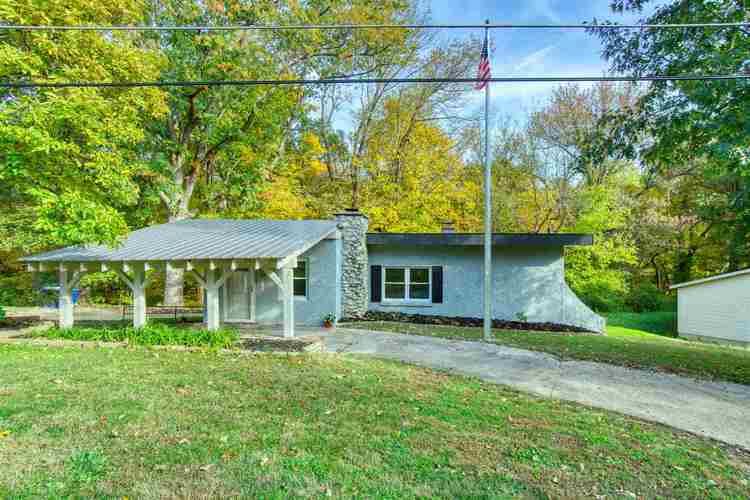 Welcome to this wonderful 2 bedroom home on 1.8 acres. Upon entering the living room you will be greeted with a soul warming wood burning fireplace, dark hardwood floors, and large windows. Hardwood floors continue into the spacious formal dinning room that sits just off the newly renovated kitchen. The kitchen features tile flooring, subway tile back-splash and new cabinetry. Just off the kitchen is an inviting den that leads to the master suite, one more bedroom and full bath finish off the main floor of this gorgeous home. The basement features tall ceilings with the potential of additional square footage. Get it while it lasts! Directions:From Diamond Ave. go North on St. Joe, West on Meier, Meier turns into Kuebler, at fork Keep right to Fischer, home is on the right.